The HP 12C Platinum Anniversary Case is the case that shipped with the 12C Platinum 25th Anniversary calculator, and fits all versions of the 12C (and others like the 11C). 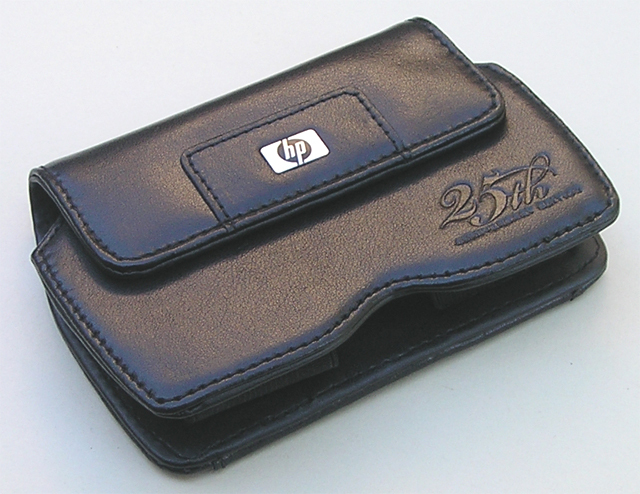 It is made of genuine leather and has a magnetic flap and clear plastic sleeve on the back to hold your business card. This case is a protective case, and recommended for those want a nicer case or carry their calculator out of the office or in rugged environments. If you are concerned about dropping your calculator this case provides the best protection. It is bulkier than the standard 12C case and adds to the size of the calculator.